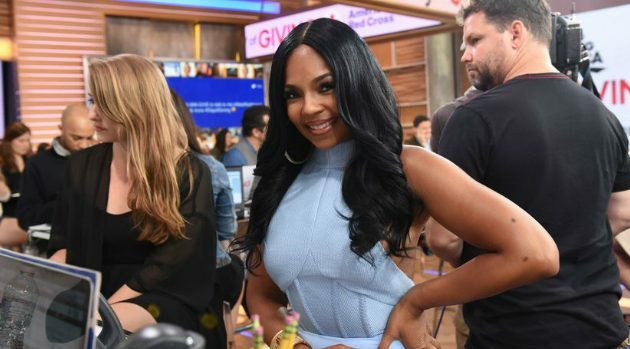 ABC/Paula LoboRemember that Instagram video that showed several concertgoers throwing money onstage as Ashanti performed a lap dance with a fan? Well, even though the singer stopped the show to tell the fans who threw the money that she’s not an exotic dancer, Joe Budden wonders otherwise. Joe and Ashanti got into a heated argument about it on a recent episode of Complex News’ Everyday Struggle. In the video, Ashanti says that her onstage clothing during the performance — a bodysuit with boots — is the standard attire that “90 percent of my peers wear,” and therefore, shouldn’t give reason for fans to throw money on her. Joe goes on to say that exotic dancers also wear bodysuits and boots, but Ashanti claims that she’s never seen them in a bodysuit. “Are you dressed like a doctor? If you wore a stethoscope, would you dress like a doctor?” he then asks.